Yeah, it’s that time again. Lilia has something new rose gold to talk about. 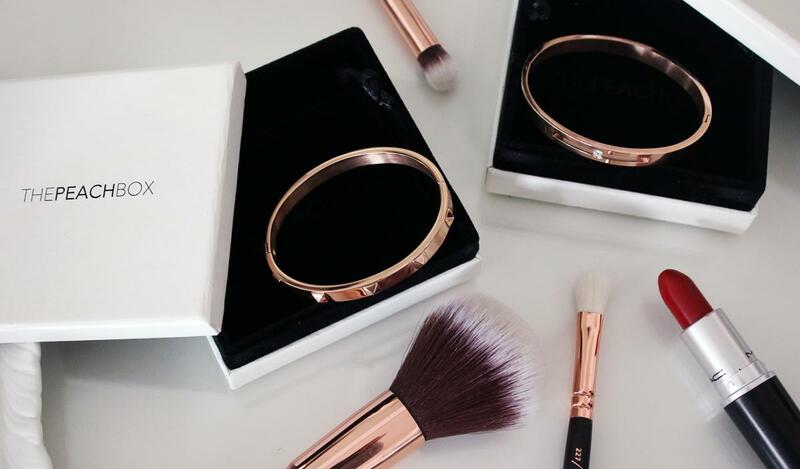 Obviously it’s not a secret that I’m obsessed with anything rose gold. This time I have something new in that I really want to share with you. ‘Cause goddamn, this is SUPER pretty, not kidding you. 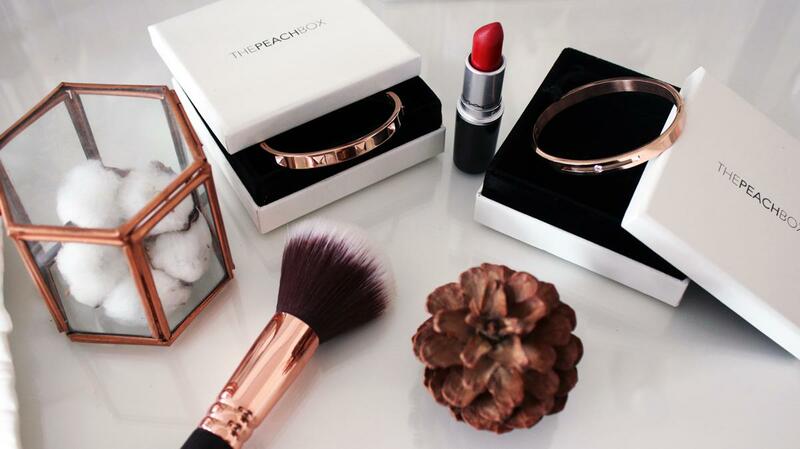 I was lucky enough to receive two beautiful rose gold bracelets from the jewelry brand The Peach Box. Since I got these babies in my mailbox, I have been wearing them like cray cray. I guess I found my two new loves! 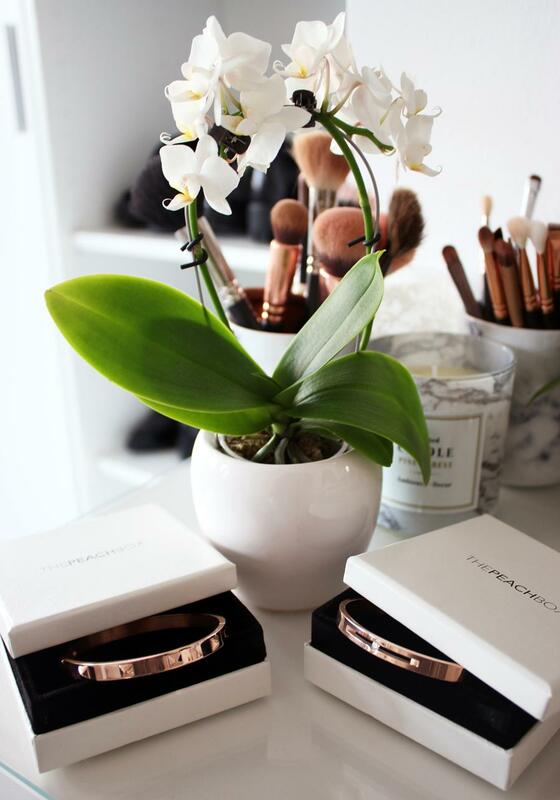 If you want to see for yourself why these two rose gold bracelets are so lovely, keep reading! So these are the two bracelets I’m going to show you. Aren’t they stunning? First of all, I love the packaging of them. 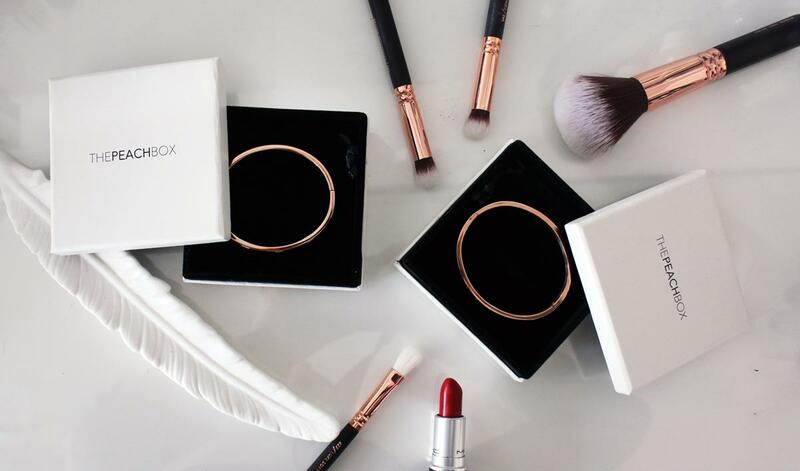 The boxes are so minimal yet chic, just the way I like it. They also come with a black velour pouch, so you can take your bracelets with you when you’re on the road without damaging them. I love little details like that :). The first bangle is called the Floating Crystal Bangle and has a subtle crystal in the middel. Very elegant in my opinion. 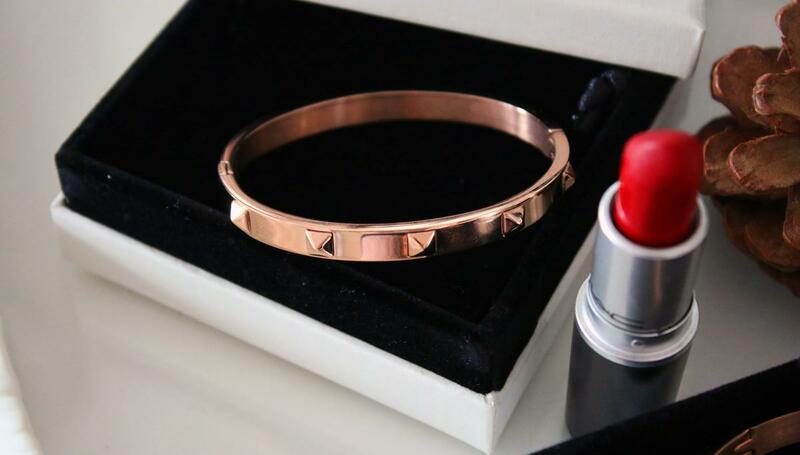 To toughen up the look a bit, I also ordered the Metallic Stud Bangle, which has dainty studs on the side. I love how these two look together. And of course, the fact that they’re both rose gold makes me love them even more! The quality of these bracelets is just the bomb.com. They feel really heavy, look very expensive and have the best fit ever for my pretty thin wrist. I’m not a bangle kind of person, because most of the times they are way too big for me, which causes them to make that annoying rinkle-y sound all day long. Because these bracelets are more oval instead of round and they aren’t too enormous, they’re very comfortable to wear during the day. Yeah, I’m in love with these pieces! And this is how the bracelets look on me. I love stacking my armcandy, so here I combined the two bracelets from The Peach Box together with my rose gold Michael Kors watch. Isn’t this a beautiful combo? I’ve been wearing it non-stop! WHAT DO YOU THINK OF MY NEW BRACELETS? Oh wauw, wat zijn ze mooi :D Ik hou normaal gesproken niet zo van rose gold, maar deze vind echt echt heel erg mooi! 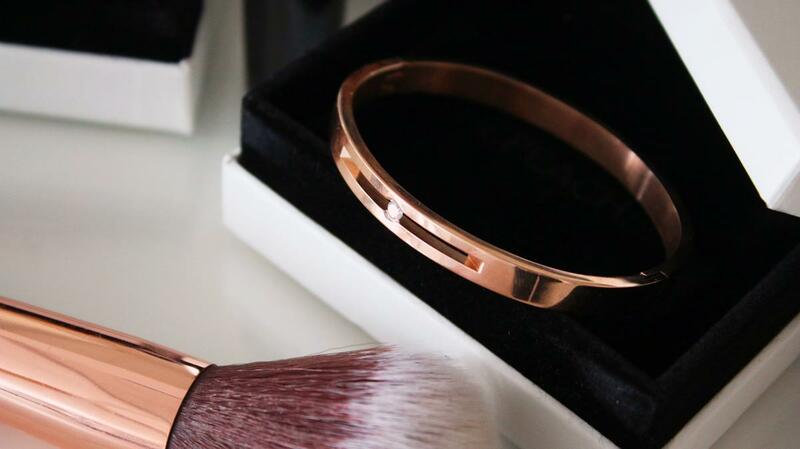 They are gorgeous <3 I didn't actually realize how pretty this rose gold looks on accessories (bracelets, earrings, anything). Ik vind ze echt ontzettend mooi! Oh wauw, wat zien ze er prachtig uit! They really are to die for! <3 <3 I did not know about the peach box so thank you for sharing! Kim recently posted…Daveys Month In Outfits. Dit ziet er zo stijlvol uit, mooi gecombineerd en chique ook! 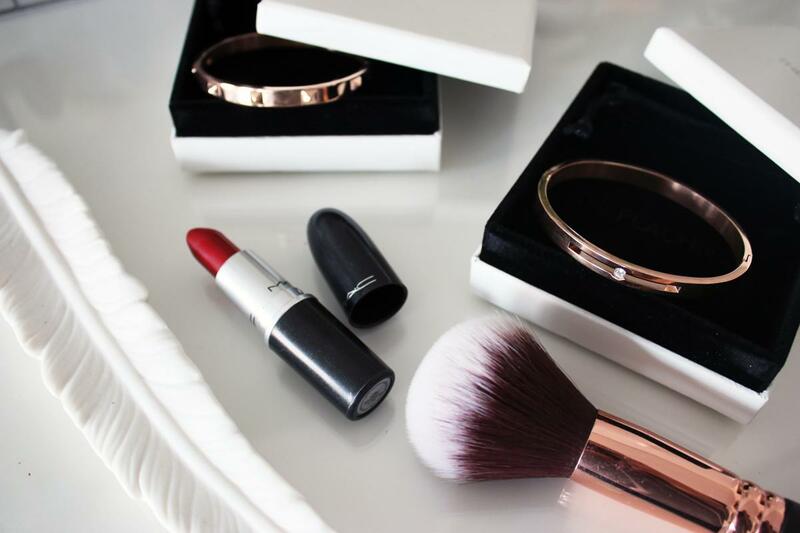 Esmee recently posted…Ultieme herfstnagellak cocktail!